The Wake Forest University School of Business is seeking qualified candidates for a Teaching Professor/Professor of the Practice in Statistics/Analytics. This individual will be expected to teach graduate courses in areas such as Data Analysis & Business Modeling, Data Mining & Machine Learning, and Forecasting. 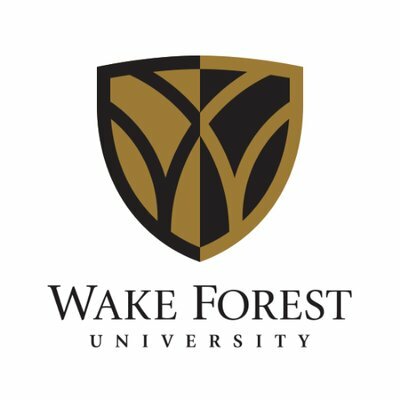 The Wake Forest University School of Business is seeking qualified candidates for a Teaching Professor/Professor of the Practice in Statistics/Analytics (clinical position) starting Fall 2019. This individual will be expected to teach graduate courses in areas such as Data Analysis & Business Modeling, Data Mining & Machine Learning, and Forecasting. Candidates should have a master’s degree (or higher) in Statistics or a related field, plus a minimum of five years’ experience in university-level teaching or in relevant work experience in the areas of instruction. With either experience profile, evidence of prior teaching effectiveness is required. The position offers a highly competitive package of compensation and benefits. Wake Forest University is a private, coeducational institution dedicated to academic excellence in liberal arts, graduate, and professional education. Founded in 1834, the University is ranked among the top thirty national universities according to U.S. News & World Report. With over 4,800 undergraduates and 2,900 graduate and professional students, the student-faculty ratio is 10:1. Wake Forest is a collegiate university offering a vibrant, intellectual community with a rich cultural life, an impressive array of facilities, and a strong athletics program competing in the Atlantic Coast Conference (ACC). Since its founding, the University has adopted the motto Pro Humanitate, which is exemplified by a deep institutional commitment to public service and engagement with the world. Click here for quick facts about the University. Wake Forest University is located in Winston-Salem, a beautiful, mid-sized city centrally located in the Piedmont-Triad region of North Carolina. Winston-Salem is a family-friendly city with high quality schools, numerous outdoor recreational activities and events, and is known for its vibrant and thriving arts and innovation scenes. Residents enjoy close proximity to the beautiful Blue Ridge Mountains (1.5 hours) and Atlantic beaches (4 hours), a moderate climate with four distinct seasons, a very reasonable cost of living, and an eclectic variety of restaurants, wine bars, and breweries for dining with friends and family. Winston-Salem offers many of the amenities of a large city but with the sense of community and quality of life of a smaller town (www.visitwinstonsalem.com). For more information about the School of Business and Wake Forest University, click here to visit the School of Business website. For online application instructions, click here to visit the Wake Forest Careers site and select Apply/Faculty/School of Business. Required materials include a letter of application, statement of teaching philosophy, current curriculum vitae, and any recent course evaluation results, including raw data and comparative benchmarks. (Note: Formal transcripts will be required before a hiring offer can be made.) Inquiries about the position should be addressed to askhr@wfu.edu. Review of applications will begin immediately. Applications that include all required information and that are submitted on or before April 1, 2019 will be given full consideration.